Chamaemelum Nobile (syn. 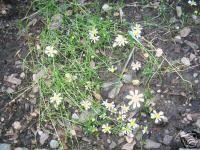 Anthemis nobilis) is one of two major types of chamomile. 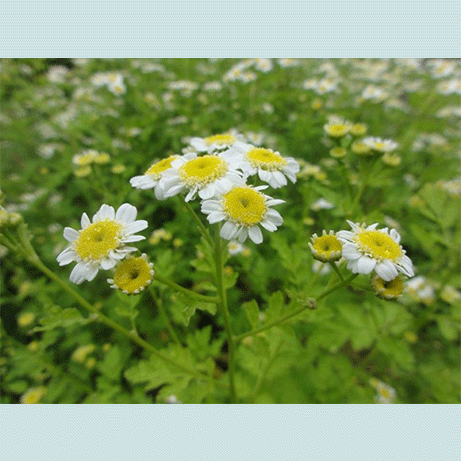 It is referred to as “Roman chamomile” in contrast to “German chamomile” (matricaria recutita). Both have a similar appearance and scent. Typically measuring eight inches in height, it can grow perennially in zones 4-9 and is not frost-tender. This aromatic daisy-like flower is often used in herbal medicine, aromatherapy and soap-making. Its use dates back to the ancient Egyptians. Like German chamomile, Roman chamomile is used to make a tasty tea. The tea is especially used to treat stomach discomfort, cramps and indigestion. The tea is also beneficial in gardening to prevent damping off and fight various plant diseases. It repels insects too. 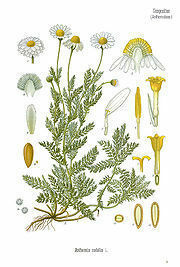 Roman chamomile has also been used in various beer recipes as a bittering agent. It is an antispasmodic, a vasodilator and a sedative. 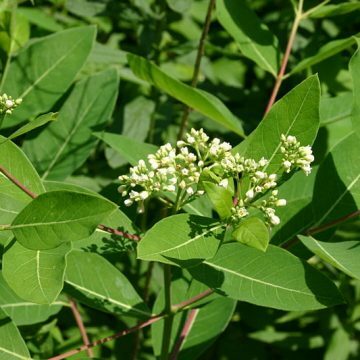 It has also been used against inflammation and to make shampoos and dyes that lighten the hair. Some growers will actually grow this plant in lawns and mow it. It spreads by creeping rhizomes and is commonly planted with creeping thyme. Growing Information: Chamomile grows best in temperate climates. It enjoys full sun to partial shade and a light, well-draining soil. The seeds are most easily sown by sowing directly outdoors after the last frost. The soil temperature must be at least 45 degrees Fahrenheit. 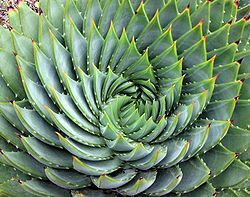 They can be spread directly on top of the soil or mixed with sand before broadcasting in the same manner. Keep the soil evenly moist until germination occurs. Seedlings can also be started indoors and transplanted if care is taken not to damage the roots. The flower tops should be harvested when they are in full bloom, making sure to cut them off as close to the flower as possible. The less foliage you have attached, the better quality the flowers will be for tea. For large harvests, they can be raked from the plants. Be sure to dry the flower tops quickly out in a dark, dry place.